The same is true in the church. Early on, each of us was ingrained with the idea of “this is the way we do church.” Imagine my surprise as a teenager when I discovered that other people (including other Baptists) did church in different ways. I did not find this threatening but rather exciting! Perhaps the most challenging step of the CHANGE process is nurturing curiosity and creativity. I think there is a fear that if we become too creative in the way that we do church, we might not recognize what we have created. Will it still be “church”? A historical perspective might help. If we went back to the first century, would we expect Christians to be “doing church” in the same ways that we do now? We really don’t need to go back that far to see how things have changed. If you are Baptist and remember the six-point record system, Sunday night worship, week-long revival meetings, and Church Training, you realize that the church you attend today is different from the one of your youth. If you have someone in the church who says, “We’ve never done it that way before,” I think you can assure them that somewhere in some era of church history, there are have been Christians who have done just about anything to further the church’s mission—house churches, bi-vocational leaders, faith missions, and so on. If we are truly to fulfill our God-given mission, we must consider all the options that our curiosity and creativity can devise. Several years ago, I heard Alan Roxburgh make a statement something like this: “The Spirit of God is at work among the people of God.” He went on to say that, as a result of this relationship, God has already provided within God’s people the ability to fulfill God’s mission. Powerful questions are not miraculous. They simply encourage people to dig deeper, reflect effectively and discover untapped resources. Many of these questions are ones we would ask ourselves given enough time and effort. I often say to people, “Each of us knows more about what we should be doing than we are doing.” We are resourceful people and that is enriched when we recognize that the Spirit of God is at work in us. 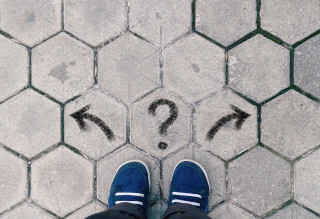 What’s the question that will lead you and your congregation to the next level of ministry? Our society provides numerous examples of people not listening to and respecting each other. We let prejudices and preconceived ideas get in the way of respectful discourse. Unfortunately, we often find the same practice in the church. When we consider the change process, the second step is “honor the other.” Honest differences of opinion must not only be respected but honored. We all have our points of view. As we talk and reason with one another, uniformity is not the goal. Writer Walter Lippman was reported to have said, "When everyone thinks alike, no one thinks very much." The challenge is to present one’s opinion in such a way that we do not cut off effective dialogue and discussion. We want to generate light rather than heat. A mistake often made in the process of change is to jump to conclusions and to try to resolve a contested issue without adequate discourse. There are ways to avoid this. Many churches use a “town hall meeting” approach to get things on the table for discussion. In this moderated discussion, people have the opportunity to express their opinions on a topic without having to make an immediate decision. 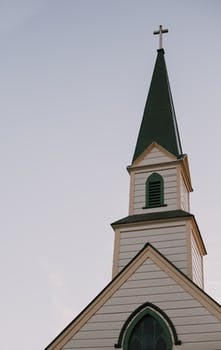 For example, a pastor search committee might conduct several town hall meetings to listen to participants’ expectations, concerns, and questions before starting the actual search process. The approach also works well in discussing changes in worship services, building development or usage, or new ministry opportunities. Since the town hall meeting is not an official business meeting, the stakes are low and there is no need to make a decision for action. 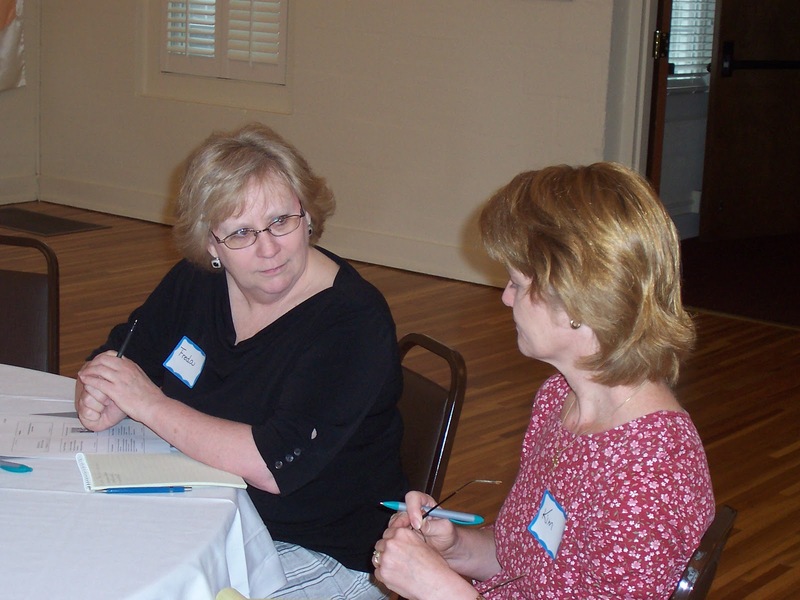 Another approach is to meet with diverse groups to get their insights in focus group settings. One person asks the group questions and another records their responses. The goal is not to resolve an issue but to get insights. By involving diverse groups such as deacons, Bible study classes, youth, and ministry leaders, we gather diverse perspectives without asking for commitment. Coaching has given me great insights on the power of individuals to identify their needs, cast vision for their lives, discover the personal resources for life change, design a plan of action, and successfully pursue that plan. What works for individuals can also work for groups and organizations including churches. The first step is to connect. In individual coaching, we often work with clients not only to identify a specific life change they wish to achieve but to understand the values that motivate and guide their behavior and how this life change fits into the total picture of whom they are becoming. They connect with themselves on a deeper level. 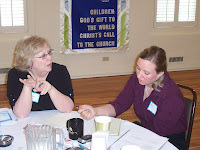 As we begin to address change in a congregational setting, we help people to connect with each other by sharing their hopes, passions, and gifts before they attempt to define a common goal and plan for the future. A group is not ready to begin the difficult discussion about change if they do not have strong relational and spiritual ties. One way to address this is to use a resource like 40 Days of Prayer: Preparing Ourselves for God's Callingby Mark Tidsworth in the leadership team as well as small groups of church members. This challenges people to communicate on a deeper, more personal level while reflecting on scripture. A spiritual bond helps people to develop the level of trust where they can talk openly and candidly, sharing their fears as well as their hopes. We don’t get this type of interaction from online questionnaires or paper surveys. People in the church need to talk to each other, connecting on a deep level, before they embark on the task of change. I sincerely believe this, but the caveat is that the church that is going to survive may not necessarily be the church as you know it now. If we are objective, we will realize that all expressions of the church have changed and evolved over the last twenty centuries. The reason that the church has not just survived but prospered is that it has continually been reinventing itself in order to fulfill its mission. First, listen to the Spirit of God. My teacher Alan Roxburgh says something like this: “The Spirit of God is among the people of God and will lead them where they need to go and show them what they need to do.” This will only happen, however, if we are really willing to listen for the Spirit and not quench the message he brings. Second, we need to get over ourselves. In the 21stcentury, the Christian church no longer has a place of prominence, a central place of influence in the culture. At one time, the culture at least professed (even if it did not always practice) that the institutional church had a vital role in society. This is no longer true. If Christians of today are to make a difference, we must earn the right to be heard. Third, we need to kill some sacred cows. Bill Easum wrote a book several years ago titled Sacred Cows Make Gourmet Burgers. Others have picked up on that idea. There are some ministries in our church that were once successful and thriving, but they are no longer. The resources devoted to those ministries need to be redirected to places where they will make an impact for the Kingdom of God right now. Fourth, don’t be afraid. Stepping out and taking risks is never easy. No one likes to change even if it is necessary. The story of the church, however, is one of constant change and it all started when Jesus began calling common men and women to leave their jobs, their responsibilities, their homes, and their families to follow him. The one thing he promised was to be with them “to the ends of the earth.” He is still issuing that call today and providing that presence. I sincerely believe that it is dawn not dusk for the church, and each day’s dawn is new, refreshing, and full of promise. In The Medici Effect, Frans Johansson describes how breakthrough ideas most often occur when we bring concepts from one field into a new, unfamiliar territory. 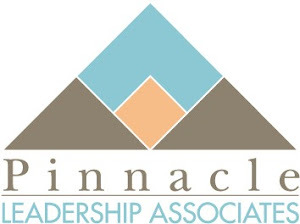 One of my areas of interest is leadership. I found long ago that both behavioral and organizational psychology can provide fresh understanding about how individuals lead others and what influences a person to follow a leader. In recent years, the field of positive psychology has provided new insights into the characteristics that make an effective leader. Research based books like Grit by Amanda Duckworth, Mindset by Carol Dweck, and Positivity by Barbara Fredrickson highlight concepts and practices that can help a person to become a thriving leader. Although often found in the “Self-Help” section of a bookstore, these books are based on rigorous research. As I use this books in seminary classes, a third dimension is brought to bear--theological reflection. Since the writers often come from a secular perspective, their research and writing needs to be evaluated in light of our understanding of who God is, who we are, and the work of the Spirit with individuals and groups. First, all truth is God’s truth. Scientific research and scholarly investigation give us a better understanding of how God’s creation functions. God has given us the ability to learn from God’s creation and creatures. Second, each of us have been created in the image of God but we are, at the same time, unique individuals. God has created our minds and bodies to work for our good. Scientific study continues to provide new insights about how we are “fearfully and wonderfully made” (Psalm 139:14, NIV). Third, every researcher or writer has a bias--certain presuppositions that he or she brings to their work. Part of our task is to recognize the person’s perspective and consider how it enhances or limits their findings. Fourth, anything that argues against the reality of God’s work in our lives and God’s desire that we become truly human must be used with care and skepticism. Many of the authors in the area of positive psychology respect the place of the holy in a person’s life. Even with these limitations, disciplines such as psychology, sociology, physiology, and philosophy can provide Christians with fresh insights, encourage new applications, and open creative paths of research for us. As we use these tools, we are often pushed outside our comfort zones, and I think that is a good thing. This is part of our calling to be on mission for God in this world. Many ministers falter or burn out because they do not attend to their personal spiritual health. The justification for failing to invest in one’s spiritual life is often, “I am just too busy.” The same is true for the church staff. They are so busy doing good things that they may not spend time encouraging each other as disciples and facilitating each other’s spiritual growth. Sam Rainer dealt with this in a recent article on “4 ‘Must-Haves’ for Weekly Staff Meetings.” Here are some of the things he suggested and some additional ideas. First, prayer is essential. Many churches collect prayer requests during weekend worship, then the staff prays about them during the weekly staff meetings. The staff should also pray for each other, other needs of congregational members, and the challenges of the ministry. Second, sharing of scripture keeps everyone on track. The pastor might share the scripture for the coming weekend’s services. If the lectionary is used, a particular scripture for the day of the staff meeting can be read by a participant. Third, both ministry successes and challenges of the previous week can be shared and made the subject of prayer by the staff. Celebration and support help build a team spirit. Fourth, personal concerns should also be presented and committed to God in prayer. This is most effective when staff ministers really care about each other. 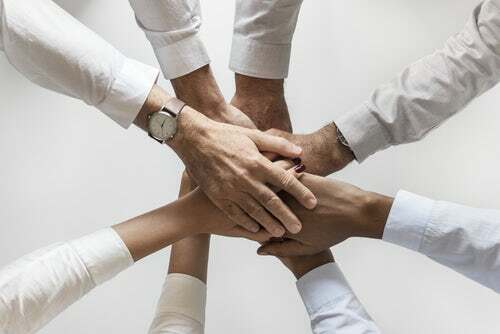 Fifth, prayer can provide a bond among staff members in the setting of a weekly meeting, but more in-depth sharing and encouragement can only take place in a longer setting. Weekly staff meetings should be augmented by one day meetings each month and an overnight retreat at least once a year. These extended sessions provide more opportunity for staff members to know each other and be aware of how to encourage one another. Let’s not be so busy that we neglect to include the spiritual in our meetings. There is a crisis in ministerial leadership. In many denominations, there are fewer seasoned ministers available and many younger clergy are disenchanted about working in the local church. One way to address this concern is to incorporate basic tenets of coaching into the life of the church. Coaching provides the encouragement, development, and support needed by pastors to lead congregations in a rapidly changing climate, thus reducing burn-out and frustration. By providing coaching, the congregation affirms its investment in the success and health of its ministerial leaders. Leaders who develop a coaching mindset are more likely to apply this in empowering lay leadership in their congregations. Creating a more collaborative culture that fosters creativity and innovation. Strengthening the bench with emerging leaders from all generations. Assuring longer tenure for ministerial staff. Churches that choose to embrace a coaching approach will be better equipped to face the challenges of discontinuous change they face today. I have been doing professional life coaching for eight years and I find that I still have a number of opportunities to introduce and explain the concept to people. Just about everyone understands athletic coaching either from observing a sports coach in action or serving as a volunteer coach. Life coaching is a bit different. Three basic ideas will help you understand how life coaching works. First, the person being coached is the focus of coaching. The coach is thoroughly engaged in the coaching conversation, but the conversation is all about the client. When we engage in a normal conversation with a friend or colleague, we expect that each person will have their fair share of the time—not simply reacting but sharing their own ideas and experiences and carrying their part of the conversation. In coaching, it is all about the client. The coach is there to serve the client’s agenda—to listen, ask questions, and support. Second, the coach guides the process and the person being coached provides the content. The client identifies the subject or challenge that he or she wants to address and the coach helps the client to discover their preferred future, identify and gain clarity about what will get them there, set a goal, develop action steps to get there, and support the person being coached as they pursue their goal. The client knows more about the situation than anyone else so the coach helps the client listen to himself or herself, helping the person being coached gain new self-understanding about both purpose and potential. Third, every person being coached has gifts and abilities to address their concerns even if they do not realize it. The coach helps the person to discover and apply these capabilities. The coach helps the client to dig deep and come up with the resources already available within to apply to the task. Most of us already know more than we are doing; we just need to get moving! In all of this, the coach is not passive but active—questioning, encouraging, and sometimes challenging the client in her or his personal growth. Coaches help their clients to become their best selves. In coaching, it really is all about you! Usually when the topic of faith-based coaching comes up, the immediate response is, “Oh, you mean Christian coaching.” In recent days, I have started to ask myself, “Is this what it really means for me?” To put this in perspective, let me first share three observations. First, I am a person of faith. I am a follower of Jesus Christ. Even though I am probably better at it on some days that others, the relationship is there and the strength of it is more dependent on God’s grace than my faithfulness. 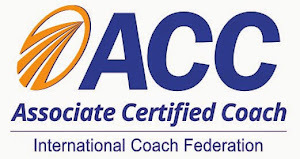 Second, I am a Christian who is also a coach (life coach or leadership coach) and that means I want to be a good coach. Martin Luther said, “The Christian shoemaker does his duty not by putting little crosses on the shoes, but by making good shoes, because God is interested in good craftsmanship.” If we do our work well, that in itself is a witness to what is of value to us. Whether I am coaching a Christian or a non-Christian, I will seek to do my best. Whether the topic is spiritual or not, I will help to the client to address it well. Third, I must make clear that I believe Christians, and especially Christian leaders, should seek to find common ground with other faith leaders in their communities. Whether one is a Christian, a Jew, a Muslim, a Hindu, a Sikh, or a Buddhist, he or she wants the same things for the family, the children, the neighbor, and the community—health, education, food, beauty, and safety. These are basic human needs no matter what one’s belief system happens to be. Given those observations, is it possible for us to think about an approach to coaching that is grounded in faith, no matter what that faith may be? Is there a distinct way of coaching that will benefit all faith communities and faith-based organizations? Although rooted in a Christian perspective, I believe that these principles could apply to any faith community. Embraces the potential within each individual to choose, plan, and act. Recognizes the value of community for growth and accountability. Respects differences of opinion in matters of faith. Strives for the common good in society. Seeks to understand the dynamics at work in a community. Encourages mutual responsibility in planning and implementation. Processes past experiences for positive action in the present and future. Values the potential for change in individuals and communities. What do you think? What does “faith-based coaching” mean to you? Like death and taxes, staff meetings seem unavoidable. With the best of intentions, a leader calls people together with the intention that they be informed, share important information with one another, and leave better equipped to do their jobs. Sometimes it works, sometimes it does not. Here are some guidelines about effective staff meetings (or meetings of any kind for that matter) that might be helpful. First, is this meeting really necessary? Does it require the presence of this specific group of people for a designated period of time? If the answer is “No,” don’t bother to meet. If “Yes," then proceed to the next questions. Second, what is the meeting’s purpose? The best way to define this is to create in advance a written agenda for those who will be expected to attend. Provide them with the opportunity to adjust the agenda either prior to the meeting or at the beginning of the session. This encourages ownership by participants. Third, how does this meeting fit into previous meetings or meetings that will be planned subsequently? Most meetings are not stand-alone events. Most meetings are part of a continuum. The best way to keep up with the flow it to make sure someone takes notes of what transpires in each meeting and circulates them afterward. This is especially helpful for those who have to miss. Fourth, will decisions be made and how will this be done? In one meeting I attended, after a discussion on a topic, a participant asked a question. The reply was, “This is already decided. We are not looking for your questions or opinions.” It would have been nice to communicate that ahead of time. Is the meeting convener seeking to simply provide information, involve participants in making a decision, make assignments for future work, or some combination of these actions? Fifth, who will do what as a result of this meeting? If assignments have been made, are they both clear and recorded? What is the time frame for action? Will it be necessary to meet again? When will that be? Sixth, what did we accomplish in today’s meeting and how could we have worked more effectively? It is often hard to get honest response on these questions, but a brief after-meeting survey online might allow the convener to learn how this group functions best. If we are going to meet, let’s make it worth everyone’s time.